As a kid, I’d play pinball at a local sports community center and wished I had my own machine at home. Unfortunately, the steep price tag of $5k-$8k means that wish will have to come true at a much later date. 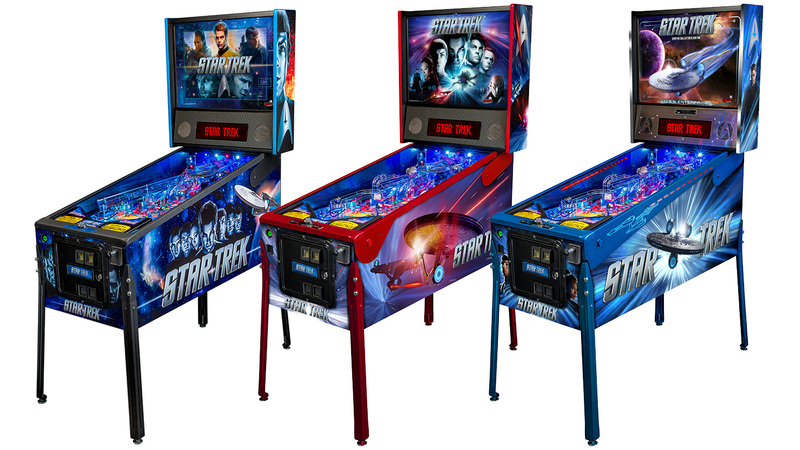 Enlarge / From left to right, the new Star Trek Pro, Premium, and Limited Edition pinball models. Last time on Pinball Technica we covered the announcement of the Metallica pinball machine. Reader response was pretty positive, even if the band theme was a little polarizing for some, so we’ve decided to occasionally check in on the world of pinball. In this age of 64-bit smartphones, there’s still something magical about knocking around a 1-1/16″ steel ball with a lot of high-voltage electricity. 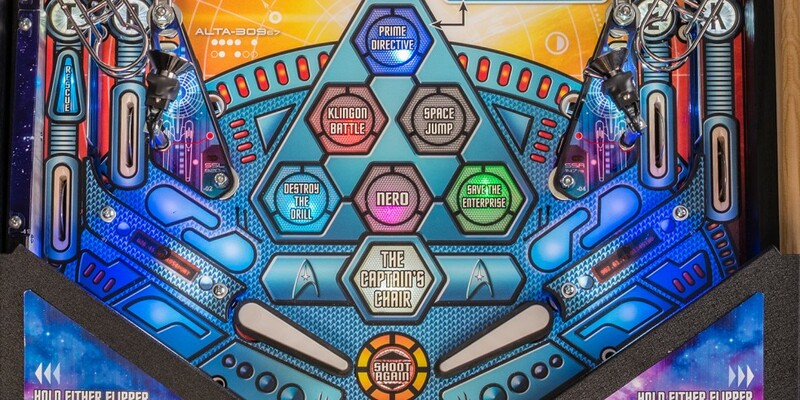 This time around, pinball machine manufacturer Stern is ditching the band and comic book licenses for a tried-and-true pinball theme: a Star Trek table. For those keeping score, this is the fourth time the franchise has graced the silver ball, with the 1978 Bally original series pin, Data East’s 25th Anniversary version in 1991, and the wide-bodied Star Trek: The Next Generation table Williams released in 1993. The cast from the series reboot is taking center stage this time around, with elements from both of the J.J. Abrams-directed films making the game. Acclaimed pinball designer Steve Ritchie is handling the layout this time around. Ritchie was also the designer on the last Star Trek table in 1993, and there are more than a few similarities between their layouts. It’s too early to say how closely the gameplay will match. The older Trek pin was a wide body, which generally leads to a slower playing style; it also used dual cannons that would load and fire the pinball around the playfield, something this new design appears to be missing. Stern is following its current business model by releasing the table in three flavors: the cheaper Pro model ($5,395), a more expensive Premium ($7,495), and an $8,795 Limited Edition model. Keep in mind that those aren’t street prices, which will be lower, but pinball is not a cheap hobby! The Premium and LE have nicer packages and more toys, as well as wire ramps in place of plastic on the Pro, but this time all three models will use color-changing LEDs on the playfield, marking the first time the Pro model hasn’t been saddled with incandescent bulbs. Modern pinballs have deep rule sets, with lots of ways to send multiple balls flying around the playfield, rack up combos by hitting different shot sequences, or combine different strategies and shot selections to score big points. Stern’s Star Trek appears to be no exception, but the company seems to be aiming at a balance between new and more advanced players. For the casual player, there are nine missions you can light up on the bottom of the playfield. Complete any three in a row on the grid and you start a “mini wizard mode,” a bit of bonus gameplay. For the more advanced player, there are another nine missions that aren’t as obviously called out on the playfield. The true wizard mode presumably comes after finishing all 18. The rules for the various missions will use color-coded paths to help players see what shots they need to make next, making the color-changing abilities of the LEDs more than just eye candy. Details on how the new table will actually play are scarce at the moment, though in the image gallery below we’ve included a shot of the rules card that gives some clues. A little digging through the images does reveal that the USS Vengeance at the top of the playfield is mounted on a spring, leading to speculation that it will rock back and forth when you destroy it, much like the saucer in Attack from Mars. We’ll report back if we can get some hands-on time with the game. In the meantime, check out some images of the various options and the playfield. Whether you’re opening your wallet (wide) for a new Star Trek table or not, if you have a passion for pinball, speak up in the comments! Cara Santa Maria hit up SDCC 2013 in search of the most expensive items available. I was shocked at the final two price tags.